You know my daughter loves ruffles, right? You didn’t know that? Well, she does. 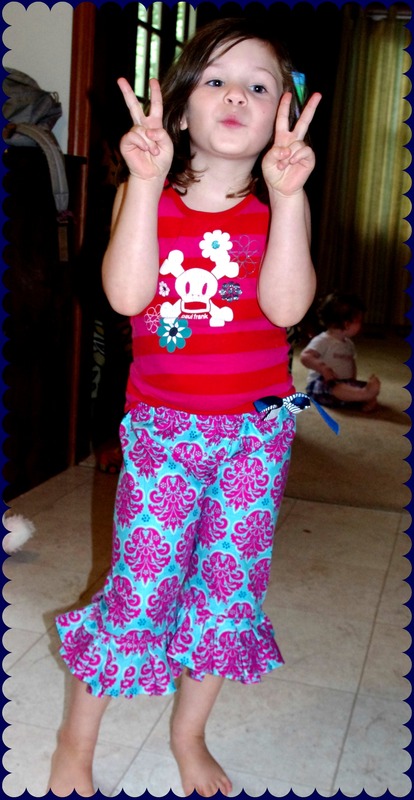 When I said I was making her ruffled pants, she thought I was putting ruffles on her jeans to make them more wearable. She was only slightly disappointed to discover I was starting from scratch and making new ruffle pants. Her jeans can wait. You need one yard of fabric. The pants I made are a size 6. I had a little leftover. If I were making an 8 or above, I’d opt for buying a bit more fabric. But for the little girls (Shh! Don’t tell them I called them “little”!) a yard is plenty. The first step is to grab a pair of pants that currently fit your girl. No need to reinvent the wheel. 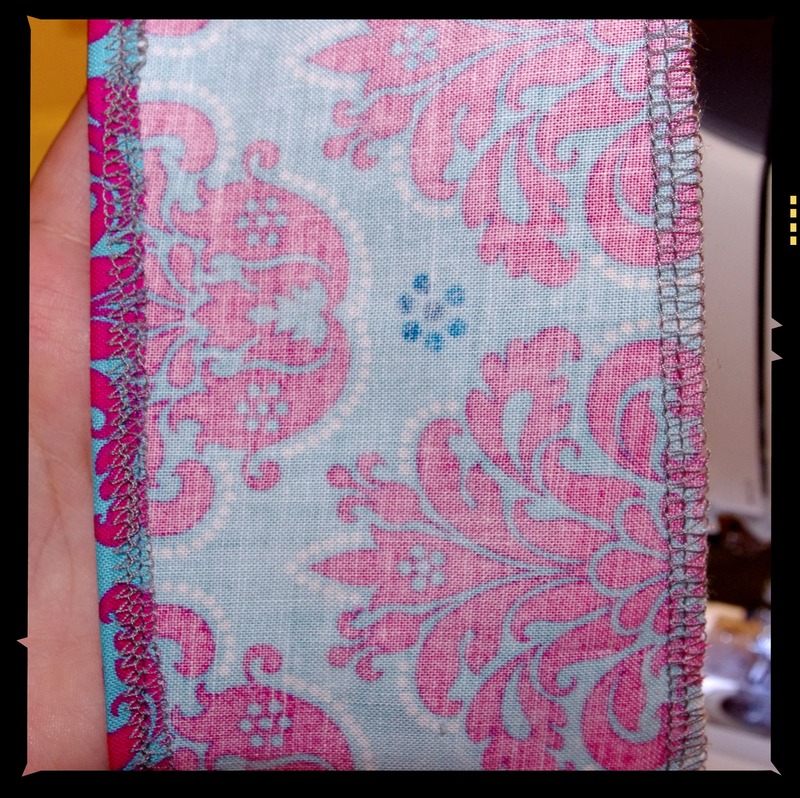 Just trace the pants onto the double fold of your fabric, getting it as close to the top as you can. When tracing your pants, add a little room. You’ll want a little extra for seam allowances and woven cotton just doesn’t move like denim or cotton knit. Make sure you trace it a couple inches higher on top. I swear I somehow always make Imo low rise pants purely on accident. So, you cut two legs out (cutting on the double fold should have given you 2 legs for your pants). 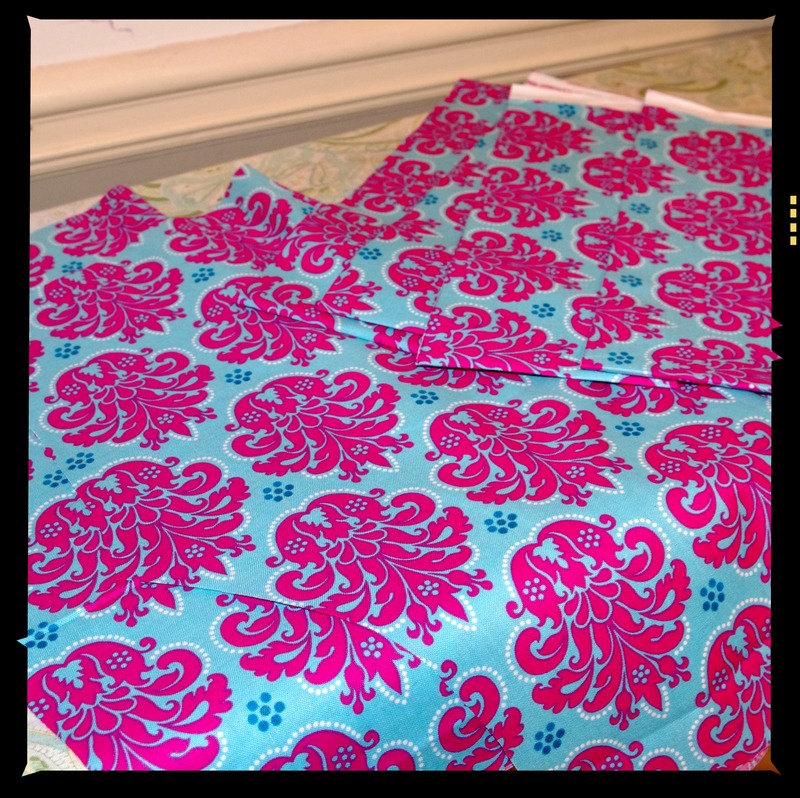 Now, cut 4 strips that are 4″ long and the entire width of the fabric. You can make these single ruffled if you’d like. Imo loves double (or triple) ruffles. You could add a bit of fancy to this and make the ruffles in contrasting fabric. 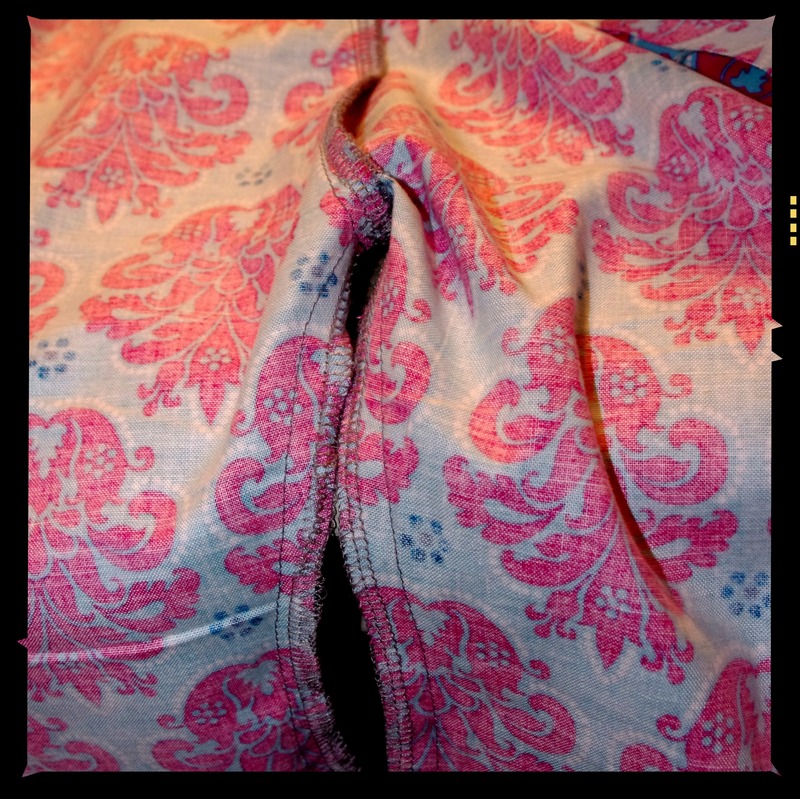 Sew your pants together. I know, I know. That seems like I’m skipping a bunch of stuff. Go here if you need help on that. Go ahead and serge or pink the bottom of each leg and the top of the pants. 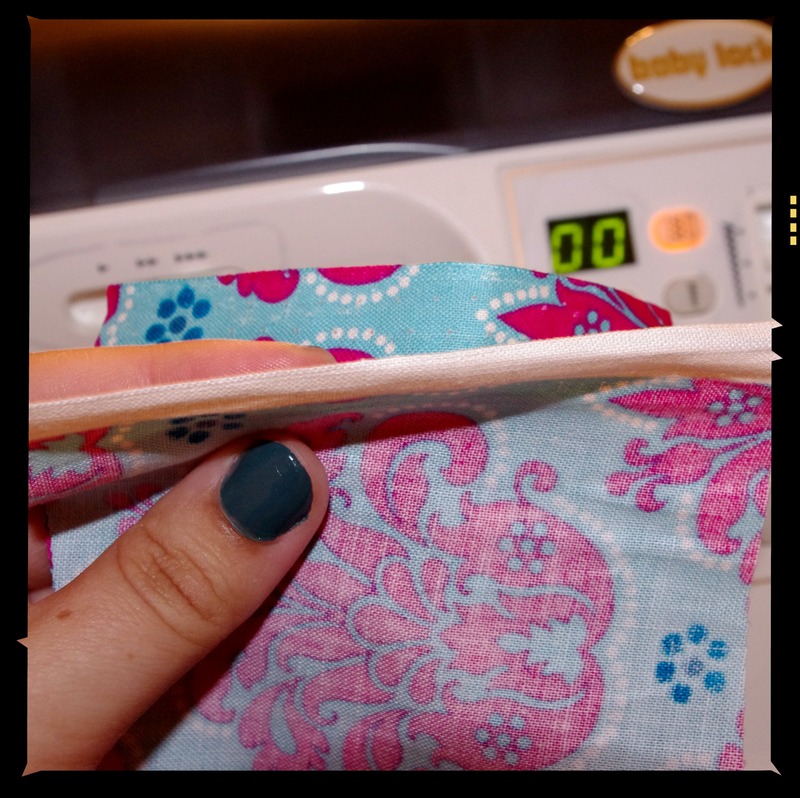 Fold over the top of the pants and make a little channel to run the elastic and ribbon through. You’ll probably want the ribbon drawstring. 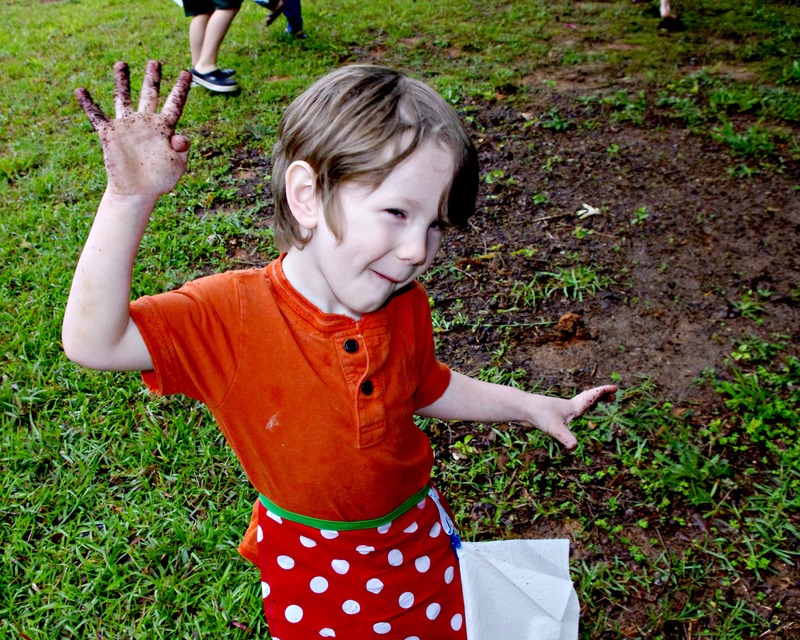 The double ruffles make these a bit heavier than the usual cotton pants. 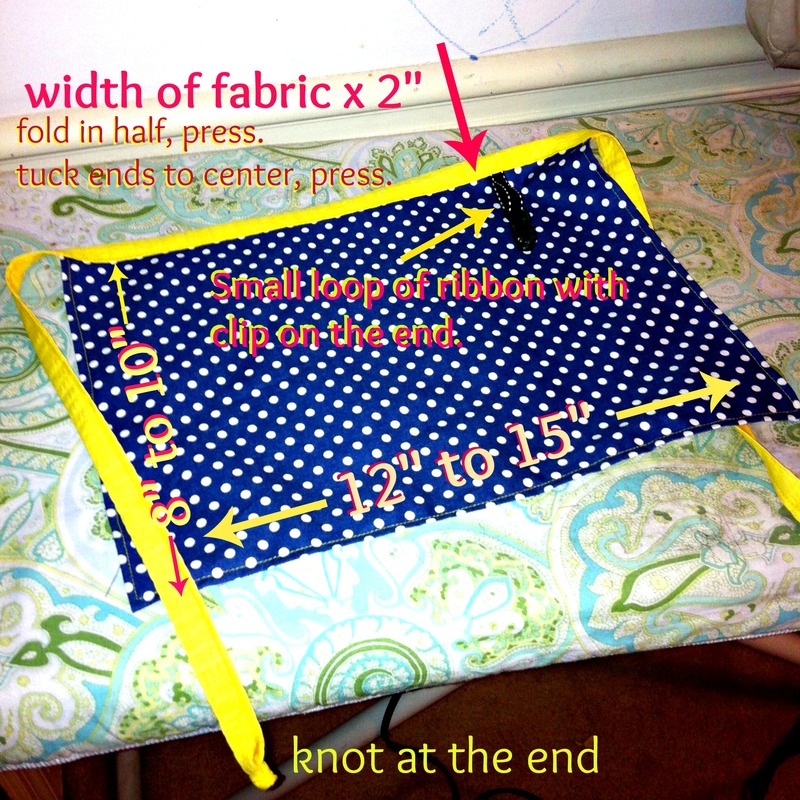 Go ahead and finish the top with elastic and drawstring. You can save it for later if you want. It doesn’t matter much when you do it. Finish the top and bottom of the ruffle. For the top (on the right side of the above photo) I just serged it. 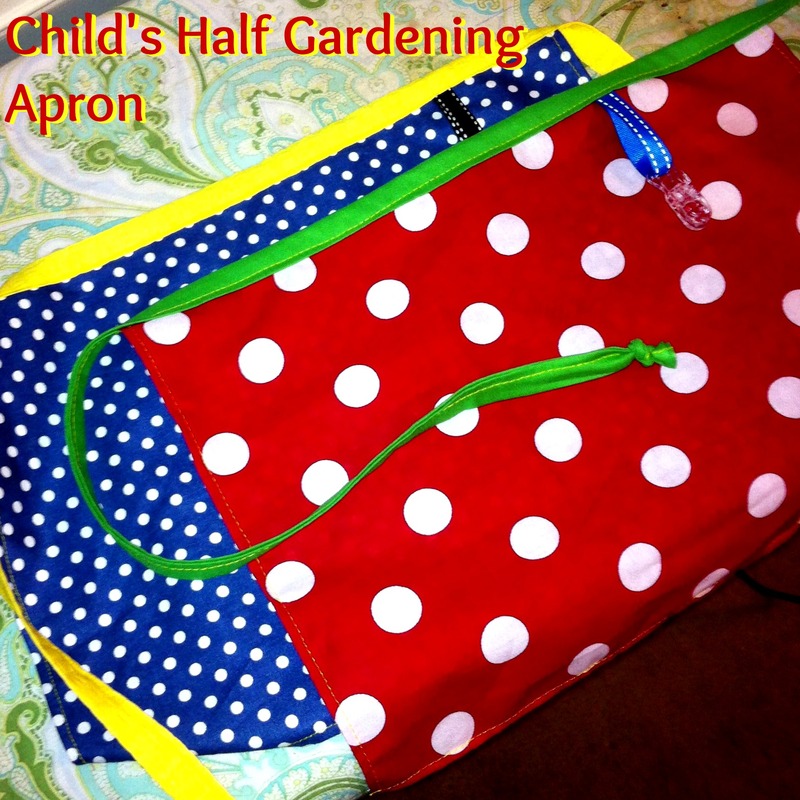 For the bottom, I serged, flipped, and sewed. Repeat for each ruffle. This takes the most time on this project. 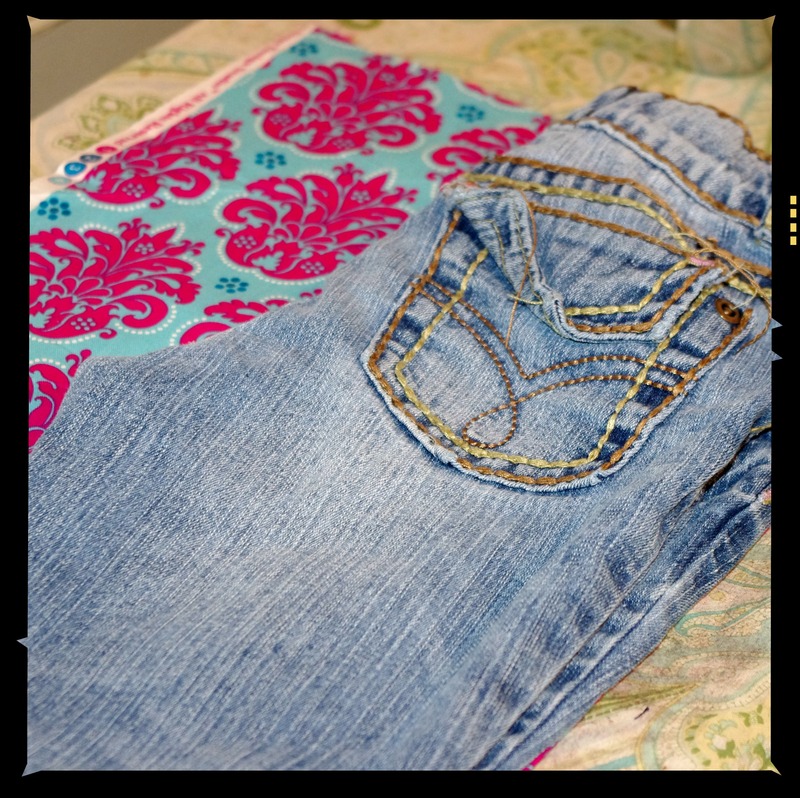 Now, pin the ruffle to the bottom of the pants right sides together. 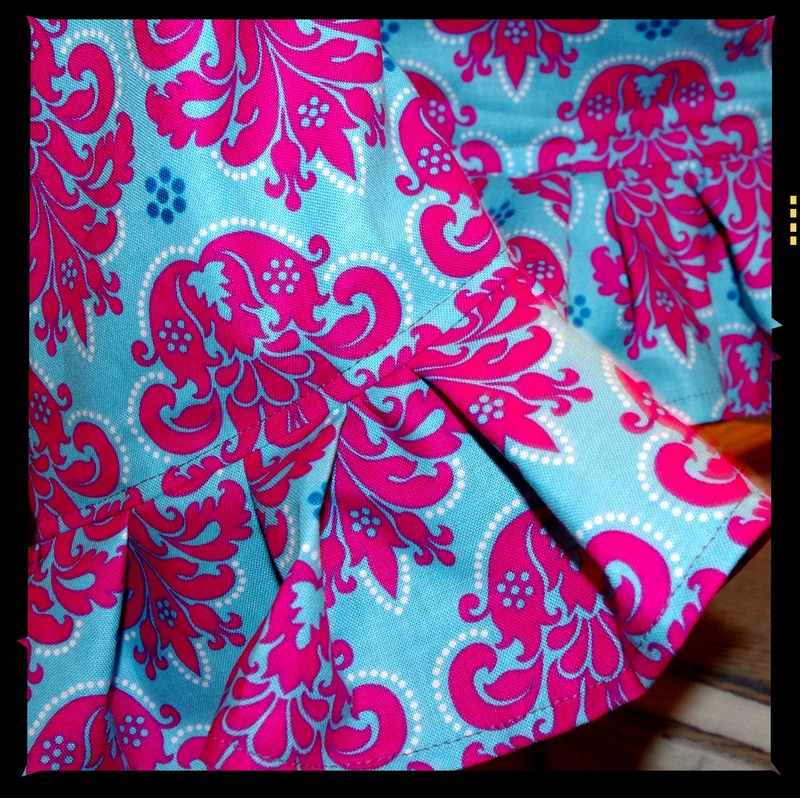 You want the ruffle to ruffle, so just messy pleat and pin all the way around. Sew all the way around. Repeat on the other leg. You now have one ruffle on each leg. You can stop here if you want the single ruffle pants. In this picture (above) you can see the line I sew above the ruffle. What I do after I attach the ruffle is flip the seam inside up and then sew it around the top of the ruffle. It keeps the ruffle from flipping up. Now, to attach the next ruffles. I don’t have a picture of this step. You’re just going to pin the next ruffle the same way you did the first, but pin it slightly above the first ruffle. 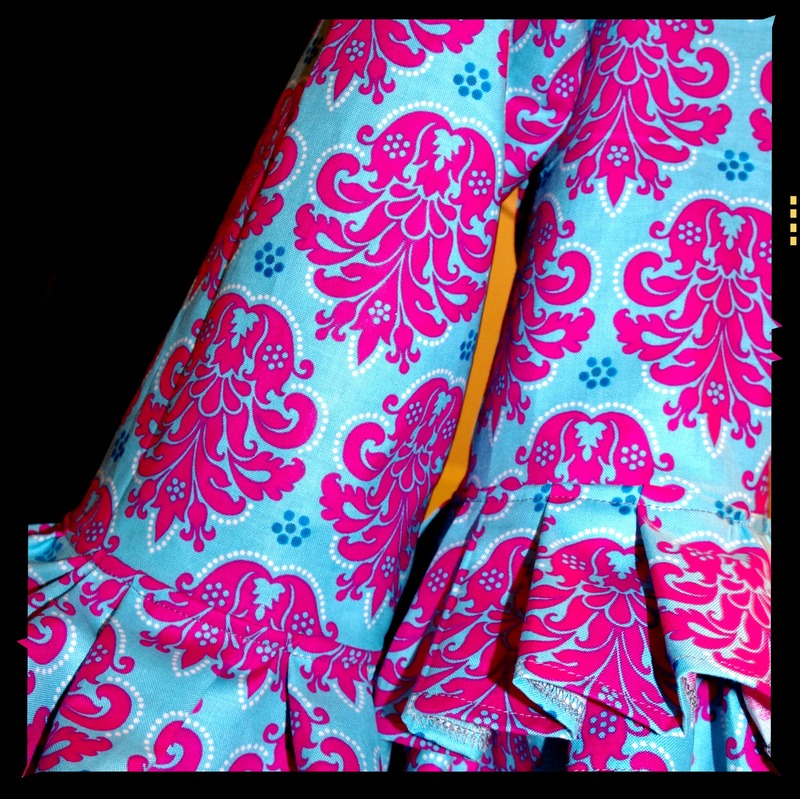 If you want it to look like two very distinct ruffles, you’ll need to pin it about 2″ – 3″ above the first ruffle. I like mine stacked so the look super ruffly, but not necessarily like rows of ruffles. 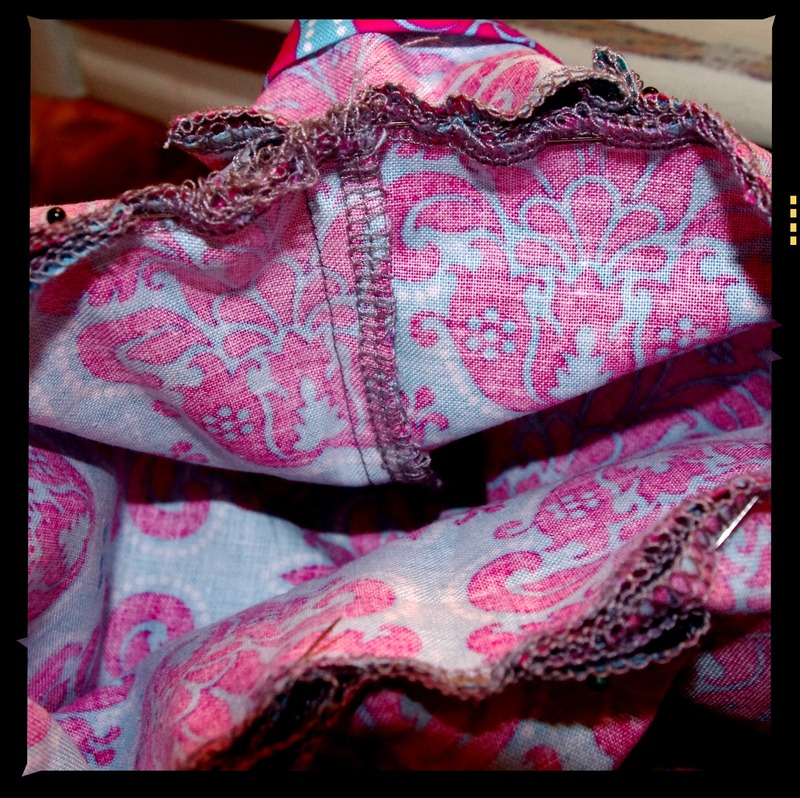 Pin the ruffle right sides together, sew it. 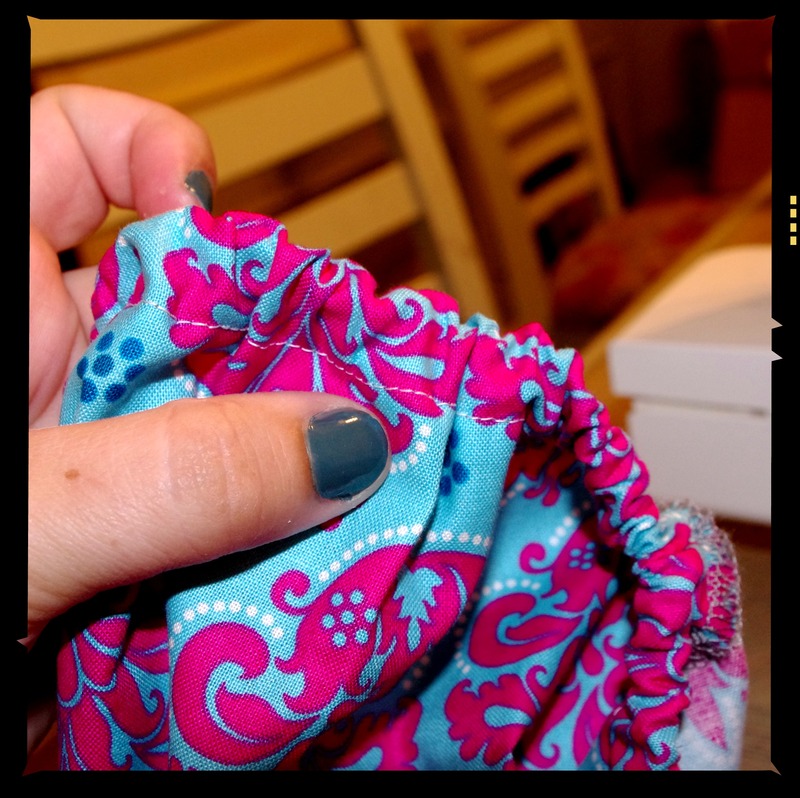 Flip the ruffle down (covering the seam) and sew around the top edge of the ruffle so it stays down and doesn’t flip up on you. That’s it! 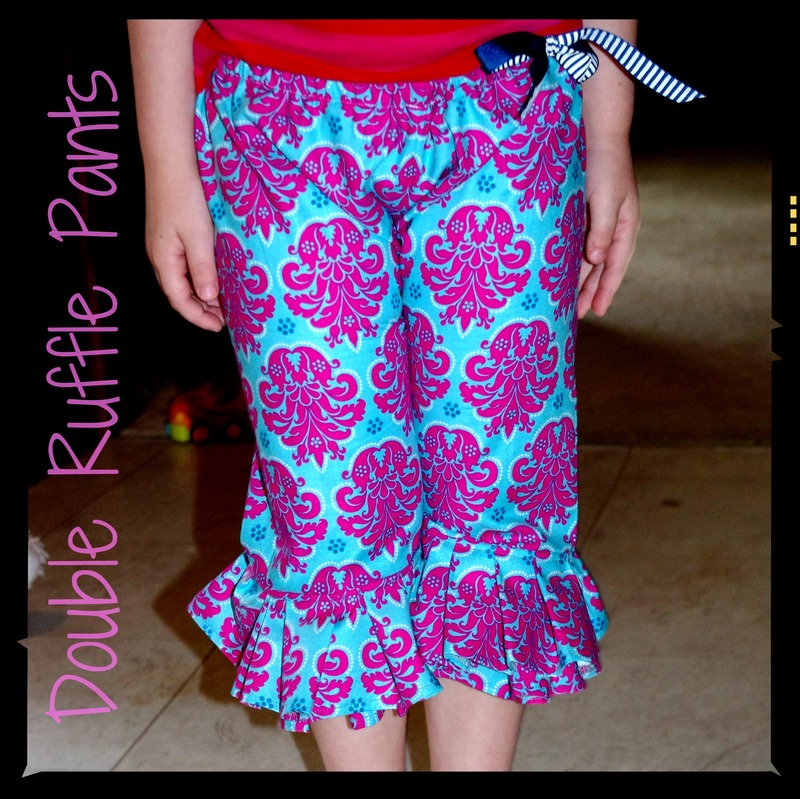 You’ve got your girl some double ruffle pants!